Alex Zanardi (Alessandro Zanardi), the ex-Formula 1 and CART driver, who lost both legs following an horrible crash in 2001, won the road race with a sprint finish ahead of South Africa’s Ernst van Dyk and Belgian Wim Decleir. 45-year-old Italian has already won another gold medal with winning the handcycling H4 Class individual time trial on Wednesday. On Friday, he won the H4 class hand-cycling road race on 64-kilometer course at the Brands Hatch circuit. In the longer-distance event on Friday, Zanardi led early on then became part of a thrilling eight-bike lead battle. He burst back to the front on the final lap, and beat South Africa’s Eric van Dyk across the line by one second to secure gold. Alex Zanardi won his second gold medal in London 2012 Paralympics. Zanardi said that: “To win this race in this way, in such a dramatic way and sprinting makes me really proud,” after winning the gold. 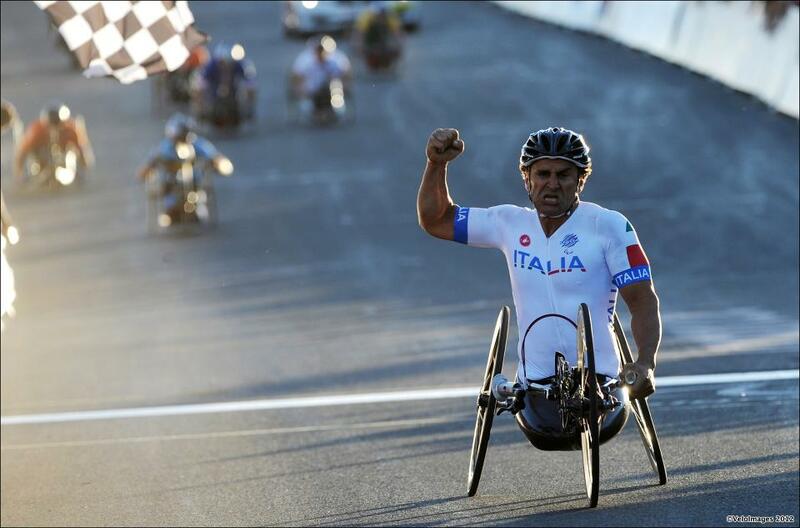 After winning his first medal with individual time trialing on Wednesday, Zanardi fuelled suggestions that his next challenge could be an Indianapolis 500 programme in 2013.